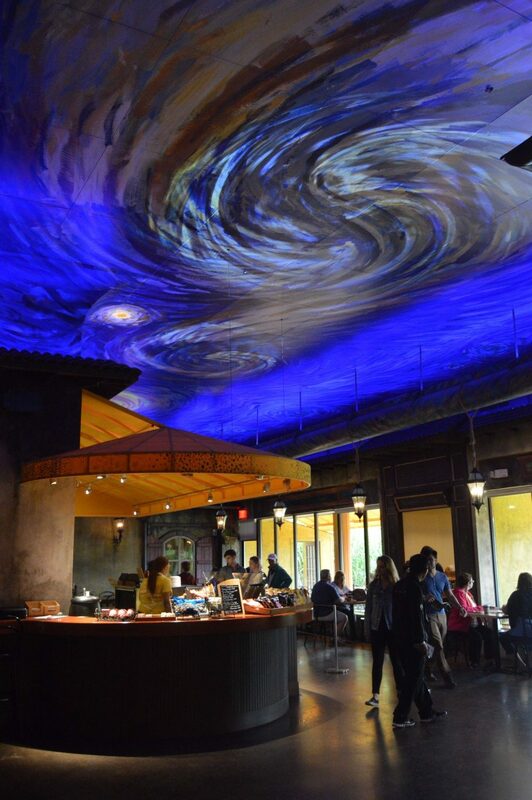 ASC worked with Brodie Graphics to create a projection system to animate the 'Starry Night' themed ceiling at The Grounds for Sculpture. The system uses three laser projectors and angled mirrors to beam moving animated content onto the ceiling. The control system automatically turns on at 30 minutes before sundown.